The Boundary Commission welcomes comments on warding arrangements by 6 August 2018. This review WILL NOT look at the limits of the Hartlepool boundary, only the sub divisions within. Wynyard is part of the Rural West ward. This is a VERY large ward in area (though not in numbers) and includes villages to the west of Hartlepool that do not have a great number of issues in common with Wynyard. However, Hartlepool Wynyard continues to grow and will form a major settlement within the borough over time. Wynyard resident numbers will outweigh the villages within the next few years. 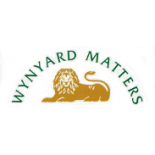 We are represented by 3 ward councillors, only 1 takes an active interest in Wynyard affairs. The link at the bottom of the page will take you to the Boundary Commission website. If you feel that Wynyard Hartlepool should form a separate ward within the Borough, them please make your case to the boundary commission, links below, they are asking for local feedback to help them form an opinion. Today is the start of a 10-week public consultation during which the Local Government Boundary Commission for England is inviting proposals for new warding arrangements for Hartlepool Borough Council. The consultation will close on 6 August 2018. After considering all representations made during this consultation, the Commission intends to publish draft recommendations in October 2018. There will then be a further period of consultation on the draft recommendations. Final recommendations are expected to be published in February 2019. The new electoral arrangements will come into effect at the local elections in May 2020.